Jeff Finnell is a statistic, but not one he likes to talk about. His life seems normal enough. Finnell, whose home is Earlville but resides in Cedar Rapids, drives to college in the morning to learn landscaping and returns home at night to study and socialize with roommates. And, like many other Iowans, a normal day includes a trip to a fast food joint accompanied by a few hours in front of the television. That leads to another part of the Earlville man’s life that is increasingly normal in Iowa. He is among the two out of every three Iowans considered by experts to be overweight. Over 28 percent of Iowans are obese, according to the Center for Disease Control, and society often is not kind to them. 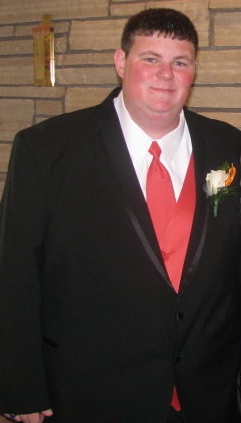 Finnell weighed 345 pounds in high school, and he still does. Obesity is no longer a just risk in Iowa. It is a reality, and a problem that all taxpayers have an interest in. Iowa is the 18th most obese state in the U.S., according to the Center for Disease Control, and some experts say Iowa doesn’t do enough to curb the problem. At the current pace, the obesity rate will reach 34.4 percent of the population next year, according to figures in a new statewide health initiative. Iowa has been slow to act, but this new initiative sets ambitious goals. Called the Healthiest State Initiative, it aims to make Iowa rank as the healthiest state in the nation by 2016. 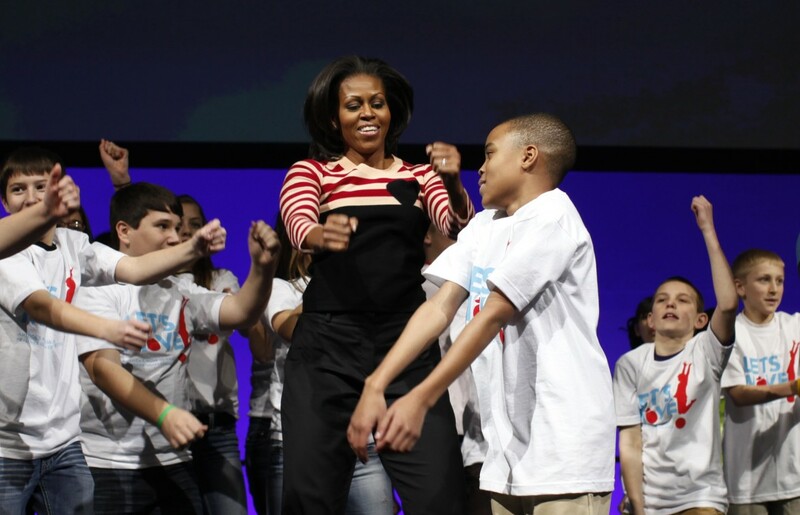 That goal won the recognition of First Lady Michelle Obama on Feb. 9, when she made Des Moines her first stop on a national campaign called “Let’s Move” to reduce childhood obesity. One in every three children in Iowa are obese, figures in the Healthiest State Initiative say. Finnell says he’s well aware of the consequences of his weight. His doctor has warned that he is a high risk for type-two diabetes and high blood pressure. “I was scared to death when he told me that, because I realized I had to change or I could get sick,” Finnell said. Obesity also is linked to coronary heart disease, strokes and some forms of cancer. Obese people are more likely to have poor mental health and develop psychological conditions such as depression. And it’s not just a problem for those who are obese. On average, Americans spend over $1,400 extra per obese person for medical costs, according to Dennis Haney, the Iowa Department of Public Health’s community health consultant. The CDC says obesity adds $147 billion to the nation’s annual healthcare bill, a debt that every taxpayer – the healthy and the obese – share. Epidemiology Professor Linda Snetselaar says obesity may lead future generations to live shorter lives. Snetselaar is director of the Nutrition Center at the University of Iowa. In Iowa, efforts to combat the problems focus on awareness campaigns, such as the Healthiest State Initiative, which is supported by Wellmark Blue Cross and Blue Shield and Hy-Vee. Experts say such efforts only can go so far in solving the problem. They can be “precursors to change,” said Amy Fletcher, director of health and physical activity skills at the University of Iowa. But that’s not enough. “There is not a lot of evidence awareness campaigns alone directly cause behavior change,” she said. Some states, like Minnesota, are doing more than building awareness. Minnesota passed legislation in 2008 called the Statewide Health Improvement Program (SHIP). It funds efforts to make neighborhoods more amenable to walking, exercising and engaging in other activities that research has shown help people lead healthy lives. Epidemiologists and health promotion professionals suggest that success comes from policies, regulations and environmental changes like those Minnesota is implementing, not awareness campaigns alone. Finnell has experienced his own personal awareness campaign from friends and family at home. His uncle bought him personal training sessions. He started going to the gym, which was hard at first. During this time, he lost over 40 pounds. Despite his new awareness about obesity and its risks, how to eat healthy and the importance of consistent exercise, Finnell regained the lost weight and struggles to get back on track. “When I gained those 40 pounds back I felt like I let myself down,” Finnell said. “But I also let my family down. Living on the unhealthy side of life is easy, Finnell says. Transportation allows him to skip any forms of exercise. High calorie and low-nutrient dense food seems to be everywhere. Finnell worked at several fast food restaurants. He says his time working at McDonald’s in his sophomore year of high school really accelerated his weight gain. He then began working at another restaurant only to experience the same issue. While attending Hawkeye Communtiy College, Finnell found a healthier job at Wal-Mart where he lost 40 pounds from the increased activity. Since transferring to Kirkwood Community College, Finnell started a job at Pizza Ranch, where he now takes advantage of the salad bar. Temptations are everywhere, like the candy aisle in Wal-Mart and the pizza buffet at the Ranch. Other than work at Wal-Mart, exercise was an inconvenience. Being so busy with school and ski team, Finnell says he didn’t have time to be healthy. And just like that, those 40 pounds crept back on. Like Finnell, many Iowans have an unhealthy routine. Obesity rose 36 percent increase over the last 10 years, according to the Iowa Department of Public Health. In 2010, over 28 percent of Iowa’s population was obese. Just 17 states have higher percentages of obese people in their state. Obesity is having a body mass index above 30. Between 25 and 30 indicates an individual is overweight. Those above 30 are at a higher risk for heart disease, type-two diabetes, cancer, high blood pressure, strokes, liver disease, sleep apnea and infertility. Obesity is a physical and emotional barrier in society. Finnell says his self-confidence has taken a hit. It’s painful for him to see thinner people wearing name brand clothes, something that his size prevents him from doing. In high school, making friends was hard, and classmates often bullied him. In college, he struggles with meeting girls and lacks the self confidence to try new things. Even now, his lack of confidence has spread to other areas of his life such as education and career choices. Since going to college, though, Finnell’s mother has hired a personal trainer and his sister has completed a ten-week fitness program that has improved her health. “My mom and sister have inspired me, because it has given me the hope that I need to be able to lose weight and become more comfortable in my body,” he said. Charles Brenner, co-founder of the UI Obesity Initiative, said, “We are the victims of our own success.” He says obesity is a symptom of societal evolution. In early history, hunters and gatherers struggled for basic sustenance. Today, domestication of animals, food management and mechanization reduce the amount work required but produce more. He said nutrient-dense food, meaning calorie intensive food, is cheaper now than ever in the history of human civilization,” said Brenner. As an agricultural state, Iowa may be struggling with this concept even more, suggests Janz. Midwestern culture embraces large, high-fat meals, and families have moved from a rural economy that required extensive physical labor, to a mechanize economy where labor has almost been eliminated. According to Janz, Iowans just haven’t adapted quickly enough to this culture change. Genetics, behavior, disease and a person’s environment can lead to weight gain. The CDC says one-fourth of kids watch three or more hours of television a day, and only half meet the recommended amount of physical activity. Finnell said TV and print ads sometimes trigger his taste buds and prompt a trek to the nearest fast food place. Finding fatty food isn’t hard. From Finnell’s apartment, there’s a gas station filled with sweets and soda across the street. A Burger King sit just down the road and a McDonalds is only a mile away. Finnell went through years of living an unhealthy lifestyle. Doctors warned him about his risk of high blood pressure and diabetes. His family urged him to change his lifestyle. He even enrolled in personal training sessions paid for by his uncle. Fletcher believes people with weight problems need help, and Iowa has been hesitant to act. “There’s been a little bit of a lag between when we started to notice that this is happening and the funding that’s been available for states to start to make some changes,” she said. Now, Iowa is making progress in educating people about healthy living and implementing policies to prevent obesity. The CDC’s Division of Nutrition, Physical Activity, and Obesity started funding efforts in Iowa and other states in 2004 to increase physical activity and consumption of fruits and vegetables while decreasing television time and consumption of sugar and high caloric foods. It also supports community wellness programs. Federal and state governments have offered grants for communities to increase wellness. By 2009, 52 Iowa communities were funded to created wellness centers, hold lifestyle challenges, build community trails and implement healthy changes at the grocery store among many wellness efforts. In 2010, Iowa passed the Healthy Kids Act, which requires every child to get at least 30 minutes of daily physical activity in school. The school has to provide documentation that it allotts time for physical activity and meets nutrition standards for food provided on school grounds. Despite these efforts, obesity increases. Haney believes the rate has started to slow down, but he did not provide statistics to show the rate. Among many solutions, Snetselaar suggests counseling. Children may be the key to prevention. According to Snetselaar, children form eating habits between ages 2 and 3. “The idea is that if the problem never starts because you’ve essentially put everything in place for obesity not to happen, you’re probably going to be better off on down the line,” Snetselaar said. Many experts say state government needs to consider new policies, such as taxing soft drinks, reducing advertisements for unhealthy food and making physical education requirements for children at school. Nothing is going to improve without policy change, said Fletcher. “It’s not just about educating individuals. Certainly individuals are ultimately going to be the ones that choose whether to do certain things, but there are things we can set up to make their choices easier. Finnell says that having to dish out a little extra cash might make it easier to skip the extra soda at the gas station or supersized fries at McDonalds. The biggest help to him, though, was simply getting informed about healthy eating. Iowa’s Healthiest State Initiative strives to put more people like Finnell in the know. Iowa is ranked 19th by the Gallop Healthways Wellbeing Index, a drop from 7th place in 2009. It includes conditions, such as physical and mental health, relationships, connectedness, stress levels, feelings of security and happiness among many factors of overall health. Obesity trends are not the primary focus of the research. The Iowa initiative started Oct. 7 with a one kilometer walk. Over 291,000 Iowans across the state got off their chairs and took the symbolic 12-minute trek. During the next five years, Iowa will implement several strategies, including community education and the Blue Zones Project. Wellmark committed $25 million dollars over the next five years to change the local environment and atmosphere of 10 Iowa communities. Marionette Miller-Meeks, director of the Iowa Department of Public Health, says the idea is to educate the most effective people in a community so that they can efficiently spread the word on health. The initiative will strive to reach the workplace, school, church and organizations. For Finnell, awareness and education put him on the right track. Although he has since regained the weight he lost, he is thinking about health and now knows the basics and benefits of eating right and exercising often. For him, that was at least a start.